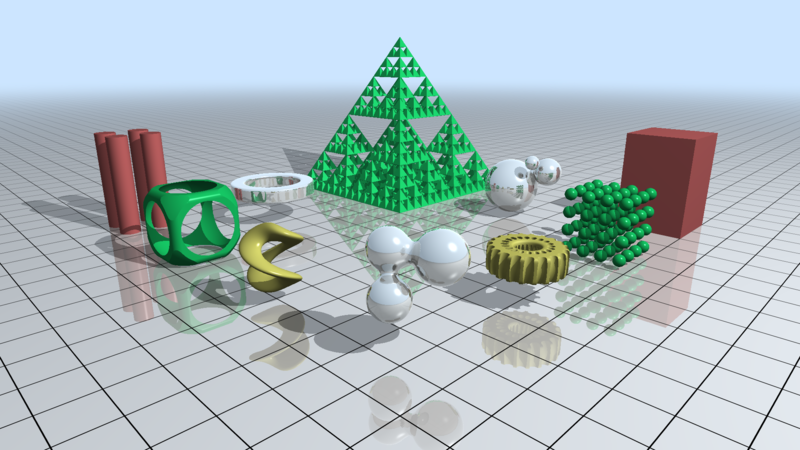 Microsoft also released D3D12 Raytracing Fallback Layer, a library that emulates the DirectX Raytracing API on devices without native driver/hardware support. The Fallback Layer is a thin layer on top of DirectX shared as an open source library via Microsoft's official GitHub repo. 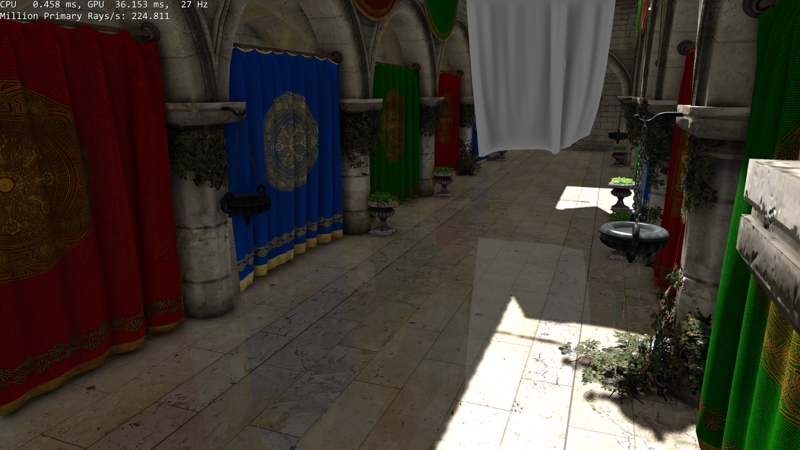 The Fallback Layer uses Compute Shaders to implement DXR functionalities. For the Sponza sample we've selected a viewpoint to generate as much reflection rays as possible. This test has two different modes, the first mode uses a fully-raytraced pass that shoots primary rays for diffuse lights and recursively fires shadow rays, the second mode utilises reflection rays only to create a shiny perfect mirror ground plane. The Procedural sample uses special intersection shaders to create analytic/volumetric geometry and iso-surfaces - typical effects found in shadertoy demos. DirectX Developer Blog - Announcing Microsoft DirectX Raytracing!